Allow us. Right this way. 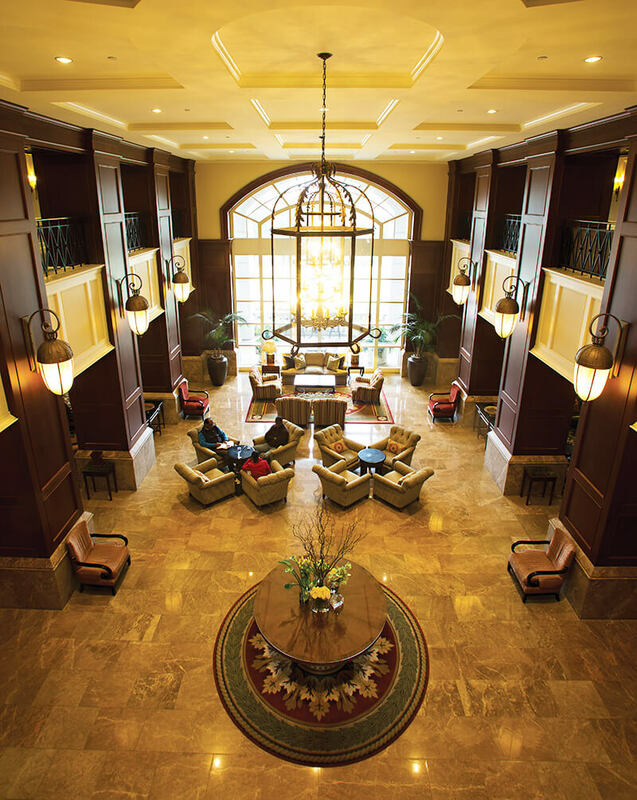 10 outstanding North Carolina hotels are waiting to wine, dine, pamper, advise, entertain, and help you escape into luxury. Sure, you could stay just anywhere — at a roadside pull-in, a high-rise downtowner, a college-town chain. And then there are the Great Hotels, for which the phrase “place to stay” doesn’t even apply. 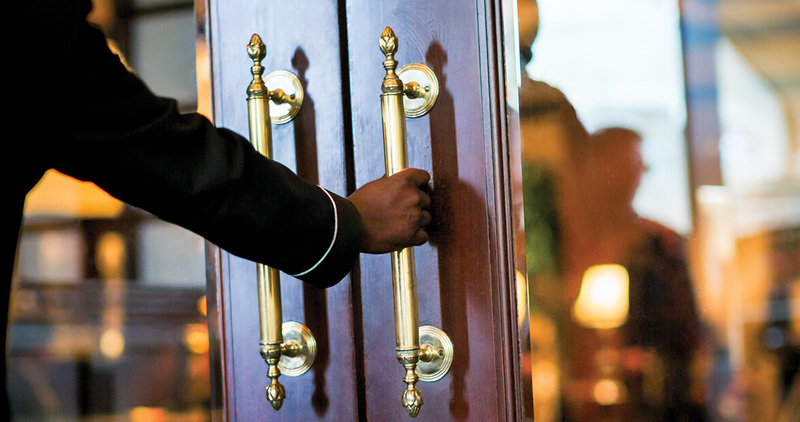 Appreciate these places as destinations in their own right, where the lodging itself — and the service and the grounds and the decor and the dining — is the reason for a reservation. 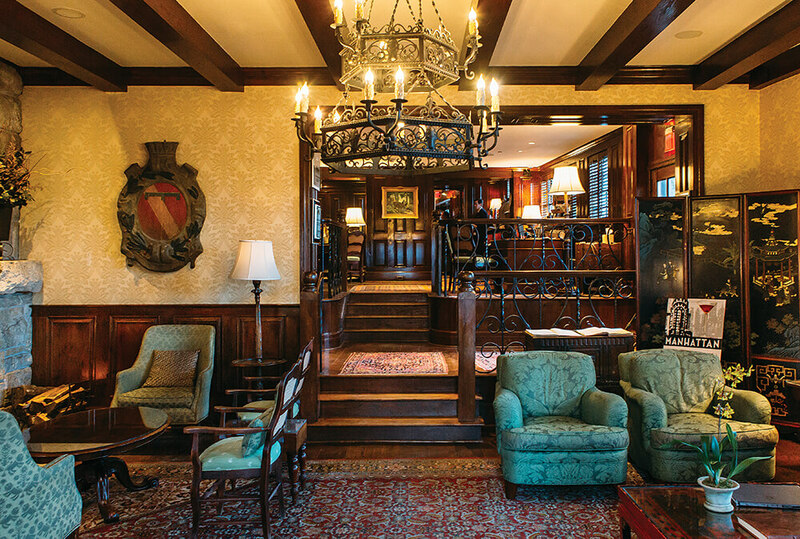 North Carolina is endowed with any number of posh palaces, charming inns, luxury lodges, and historic hotels, each of whose identity lies in its personality. Reservations, please, because sentimental as they seem, don’t look for a Vacancy sign. At these stylish accommodations, count on nary a neon light in sight. 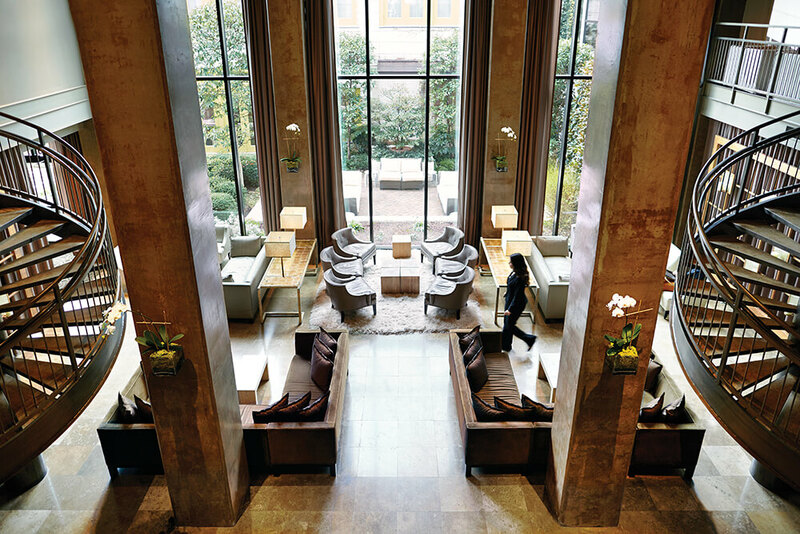 With stone walls inscribed with quotations, two fireplaces as large as elevators, and seating for privacy or socializing, this lobby projects warmth and majesty. Golf bags and cleats feel just as much at home as cocktail dresses and sport coats in a lobby that feels plush, yet clubby and comfortable. 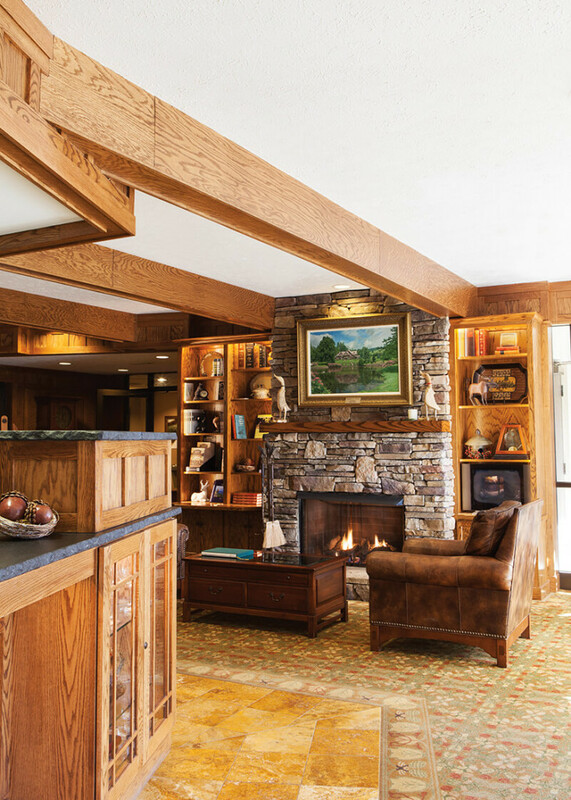 You’ll instantly sense that rhododendrons and waterfalls await you beyond the coziness of Chetola’s deep chairs and firelit lobby. 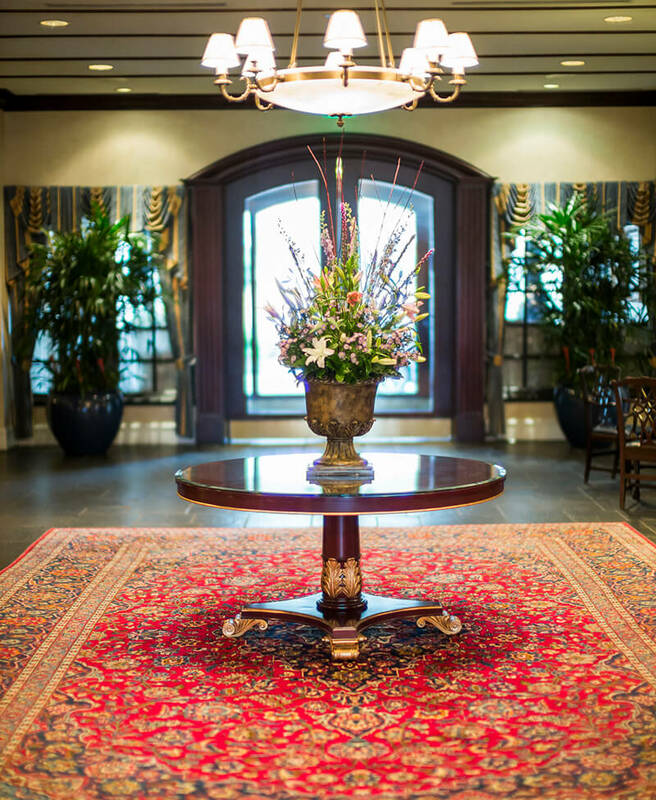 With clean lines and cozy, dark niches, the Umstead’s sophisticated lobby showcases fine artwork and flower arrangements that qualify as masterpieces, as well. A world away yet surrounded by renowned universities, the formal elegance of this hushed lobby leads to hallways lined with pictorial histories of the magnates and philanthropists behind the setting. 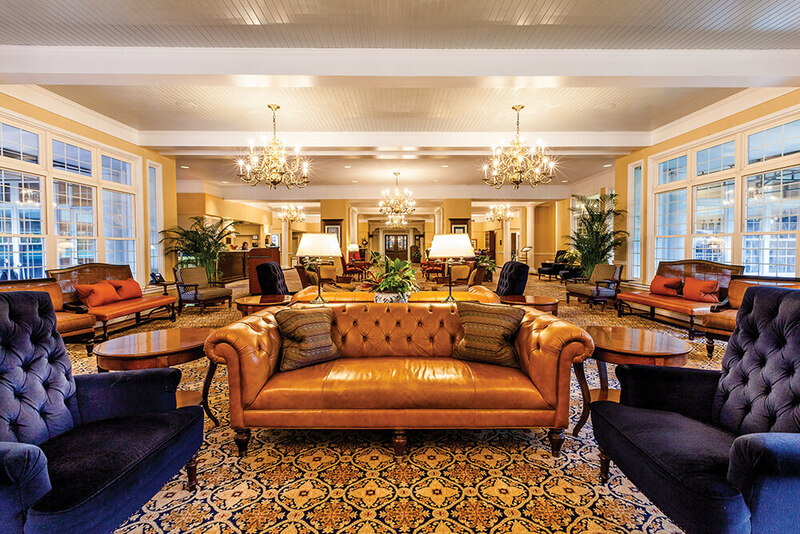 For more than a century, travelers have trod the wooden floors of this historic lobby, which boasts dark panels, imported rugs, and Dove ice-dream bars behind the desk. 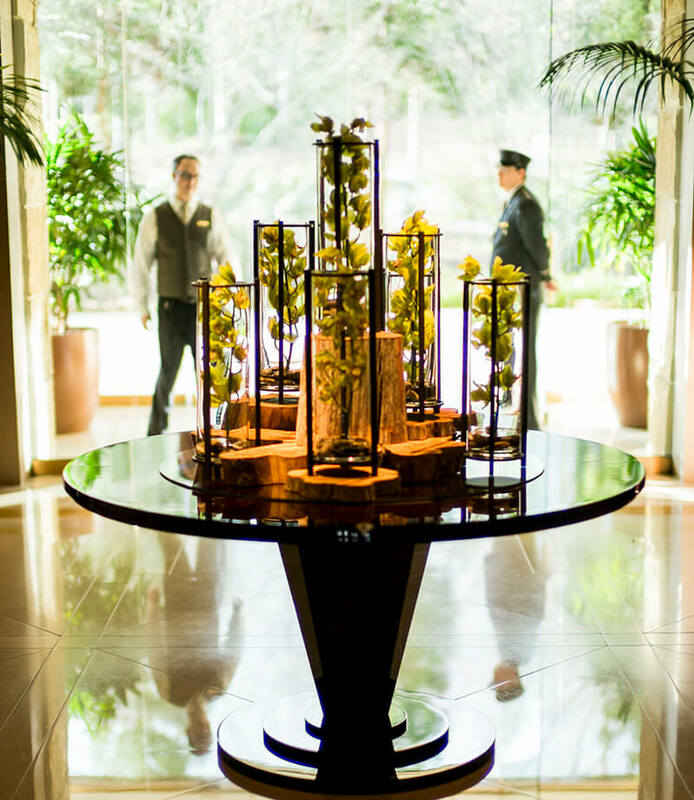 The reception area seems to float over a dramatic, two-story atrium, where live orchids adorn the walls opposite the sweeping, curved staircases. 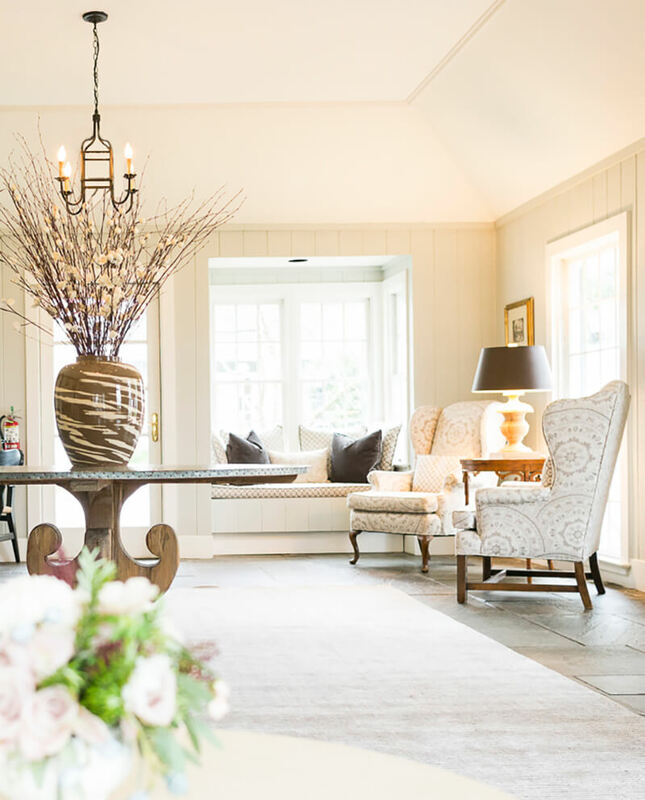 Floral arrangements plucked from nearby gardens, and a window seat that begs for lounging both showcase Fearrington’s famous hospitality. 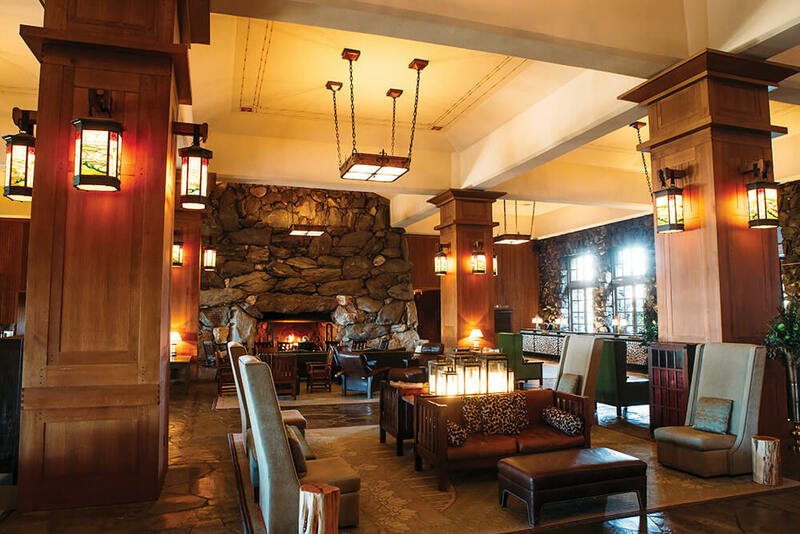 Refined elegance in a baronial mansion setting sends a message from the grand lobby: Linger here. A window to the world lends perspective as you decide your next move. Or no move at all. 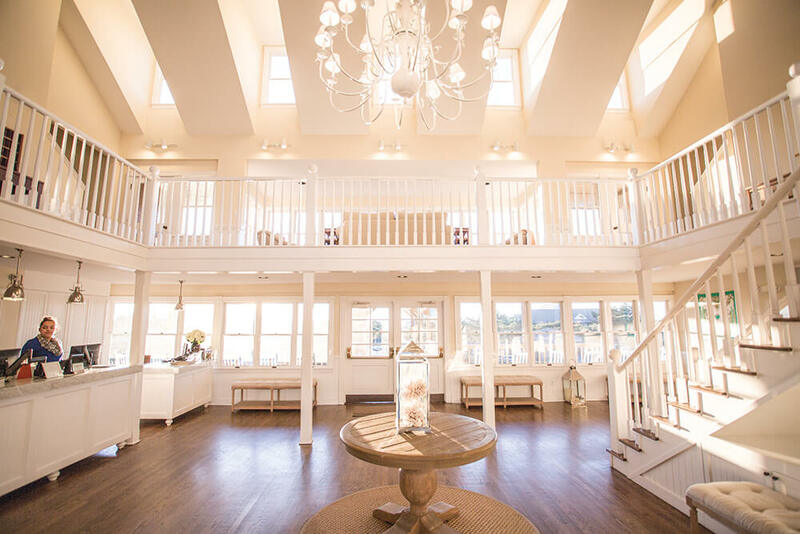 Airy spaces and a wall of windows set a beach house feel for a lobby that opens to a seascape just a few steps away.